Microsoft Office 2010 Beta downloads have been active for a few days for MSDN and TechNet subscribers. Now Microsoft Office 2010 Beta downloads are available for the public and are now available on the official Microsoft Office 2010 Beta website. To be able to download the beta of Microsoft Office 2010, users need to first log in using a Microsoft Live account and fill out a short form. Downloads are available for both 32-bit and 64-bit editions and for various languages. The product key for the beta will also be displayed on those pages. This key is required to activate the beta after installation. 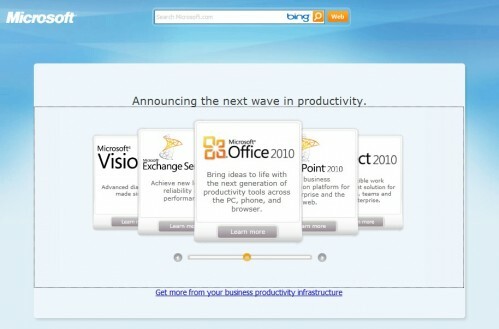 You can view whats new in Microsoft Office 2010 here.